MK Eitan Cabel says bridge crisis example of policies causing secular Israelis to dislike Shabbat. 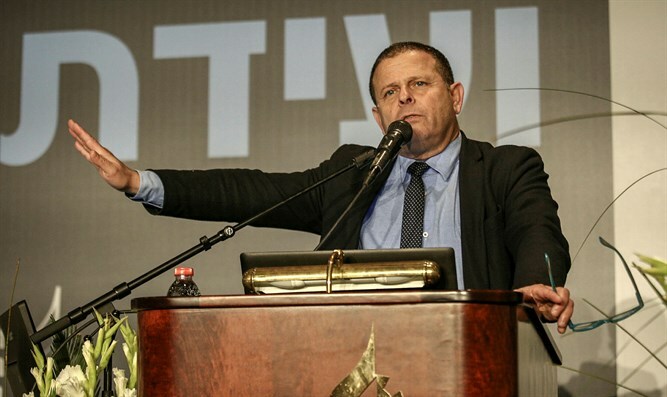 Knesset Economics Committee Chairman MK Eitan Cabel sharply criticized Transportation Minister Yisrael Katz for delaying the construction on Tel Aviv's Yehudit Bridge because it is scheduled to take place on Shabbat. In an interview with Arutz Sheva, Cabel alleged that the decision to scrap the scheduled maintenance was part of an overarching policy that was causing secular Israelis to dislike Shabbat due to the feelings of religious coercion it aroused. "I am a traditional person and it is part of me," said Cabel. "I love Shabbat. Shabat is one of the most amazing tools given to us. There is a status quo, but even within this status quo, there are the exceptions. I think that we need to develop the status quo and develop it and I think that the minister was mistaken here." According to Cabel, "On Shabbat, tens of thousands of cars are traveling on Israel's roads, and certainly at the Ayalon, and I'm telling you - as one who the tradition is very close to me - the damage to Shabbat and religion and tradition as a result of the fact that if the works were done not on Friday which would cause enormous congestion, the damage to the Sabbath and the religion would have been immeasurably greater." "The State of Israel is a Jewish state, it is democratic, and there are both religious and secular people, and the wisdom to find the balance point And at every balancing point we must also find what does not cause people to hate Shabbat," added Cabel. Cabel also discussed his attempts at lowering what he says are inflated prices for Uman bound flights. Recently, the Knesset's Economics Committee held a special debate over the irregular ticket prices to Uman. According to analysts, airline companies are illegally colluding together in order to cause prices to skyrocket from the usual $300 to more than $1,000 on average. "This is the second year I have been involved in this matter," says Cabel. "About a year ago, I contacted the antitrust commissioner and told her that the prices for Uman during the holiday of Tishrei go far beyond the normal. I have a fear that there is even price coordination because it is not possible that the price of a regular flight reaches $250-$300, sometimes $400." On Monday, the Israel Antitrust Authority ascended to Cabel's requests and will probe why prices skyrocket on Ukraine-bound flights shortly before tens of thousands of Jews flock to Uman for the Rosh Hashana holiday. "It's unacceptable," said Cabel. " At the end of the process, the General Director of the Antitrust Authority will say whether the prices are reasonable and what should be done. It has the power and authority to change the picture, and I believe it will do so in a very clear way. "